In paid partnership with GoGo squeeZ®. Have you entered to win the squeeZ Bowl Sweepstakes yet? If not, I suggest you do, because it’s a great way to spruce up your Sunday get-togethers with the family. My two boys love a good sports weekend. Liam loves to root for his favorite team while Caleb just likes to jump around and scream. That I am very much convinced! LOL! As a mom, I just want to be sure that my kids are not only having fun but that they are eating right too. We can luckily have the best of both worlds thanks to GoGo squeeZ®. 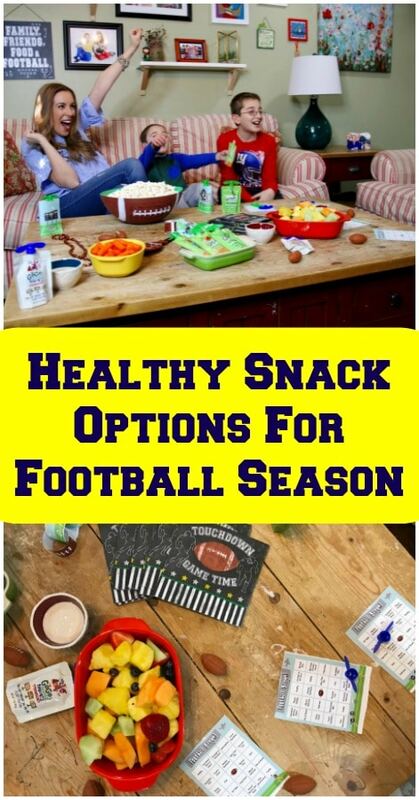 It’s all about healthy snack options for my family. 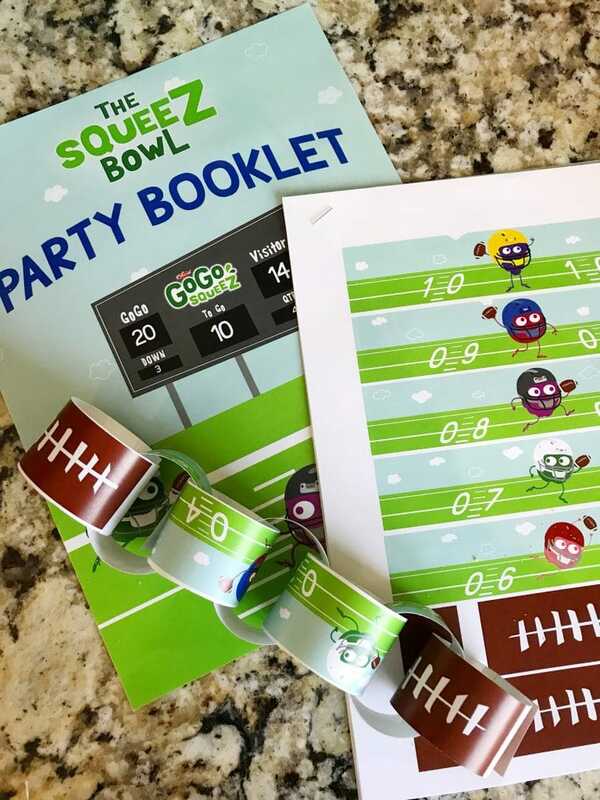 This year, GoGo is celebrating the game with the squeeZ Bowl Sweepstakes, giving participants a chance to win enough GoGo squeeZ® for their squeeZ Bowl party (Ends January 21st!). 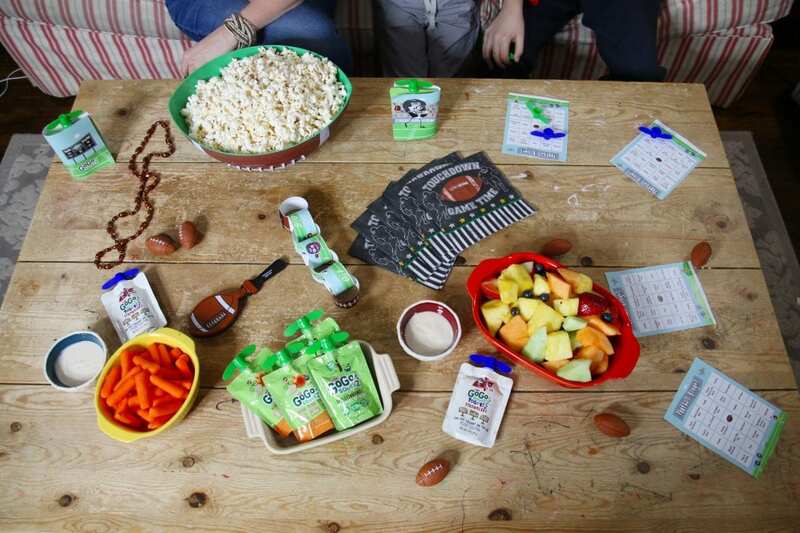 It’s all about keeping your kids going throughout the Big Game. Be sure to enter TODAY. 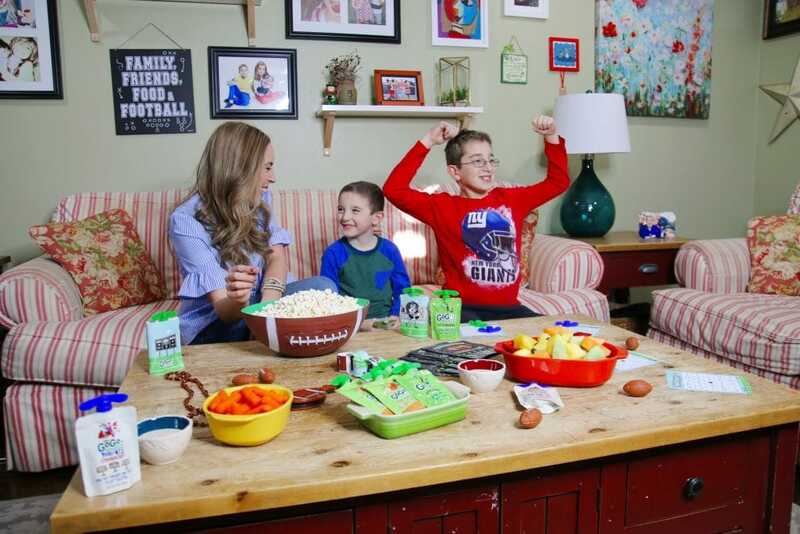 When I think about hosting friends or family, I always make sure to have activities on hand for the little ones. This GoGo squeeZ® party kit gave me lots of great ideas. Most of which I highlighted right here on the blog. Click here to download your copy today. Decorations go a long way when it comes to my children. So, when I found these printable pouches featuring sporty cartoons, I thought they were a MUST! 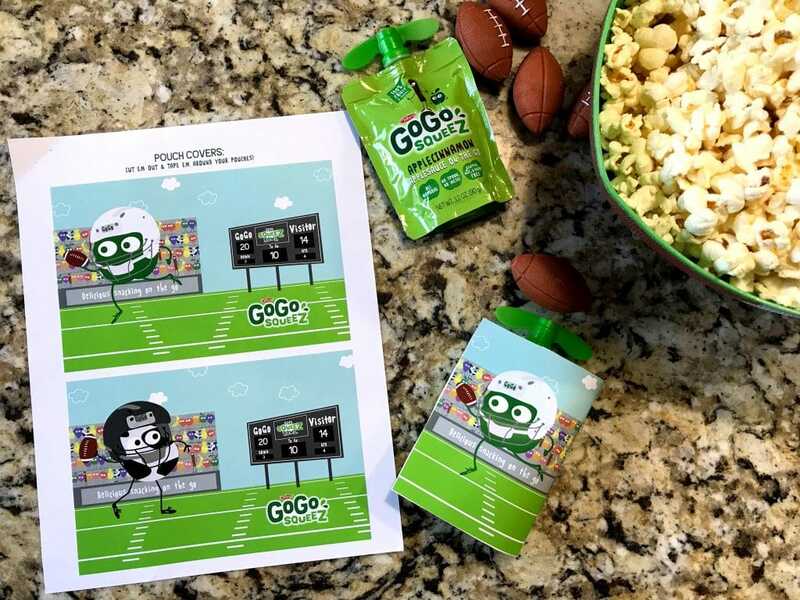 All you have to do is print as many sheets as you need, cut out the design, and tape around each of your GoGo squeeZ® pouches. Such a super simple way to add a little flair to your appetizer table. This makes them the perfect addition to any family gathering. Great healthy snack optionns for sure! Looking for other arts and craft ideas? No problem! Head on over to check out their full write up. I personally love it when I find activities that I know my kids can do on their own with minimal supervision. Here’s a quick rundown of some of the ideas I put into play during our Football Sunday gathering. I squeezed out some of the yogurt pouches and made dipping bowls so the children would eat more carrots. Super-secret mom tip! Extra GoGo squeeZ® applesauce for anyone who needed it. 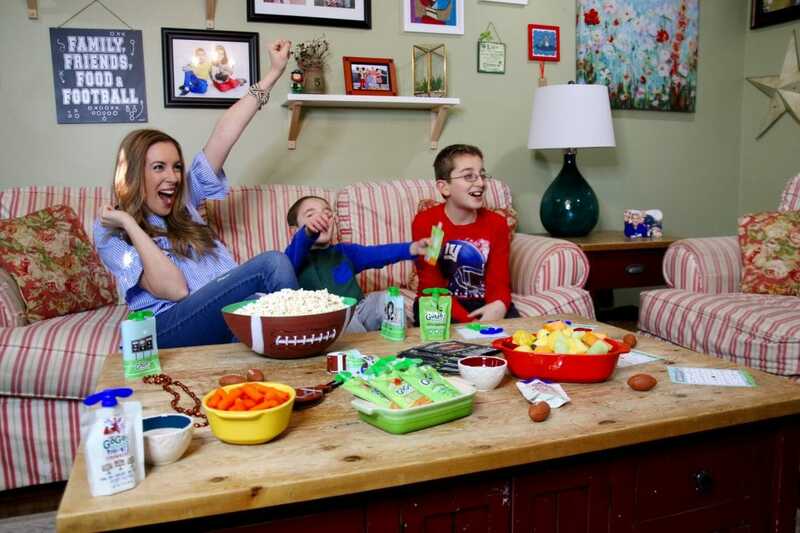 Small footballs, jewelry, and noisemakers sprinkled throughout – just in case the kids needed a little something to play with while watching the game. So, I feel great having them out for my children and their guests. Let’s Talk About Football Bingo! These are all things that you would hear while watching a football game, right? 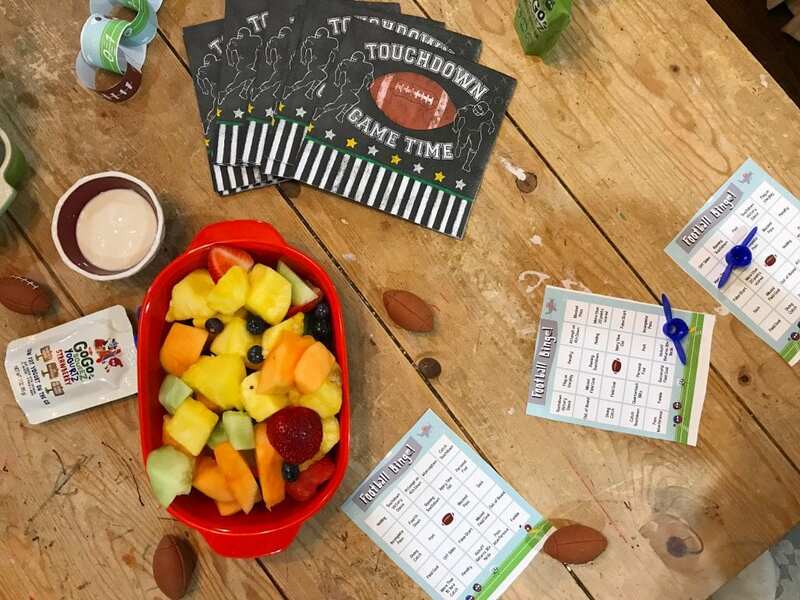 Well, now your kids can play football bingo while watching the game thanks to these handy dandy printables. 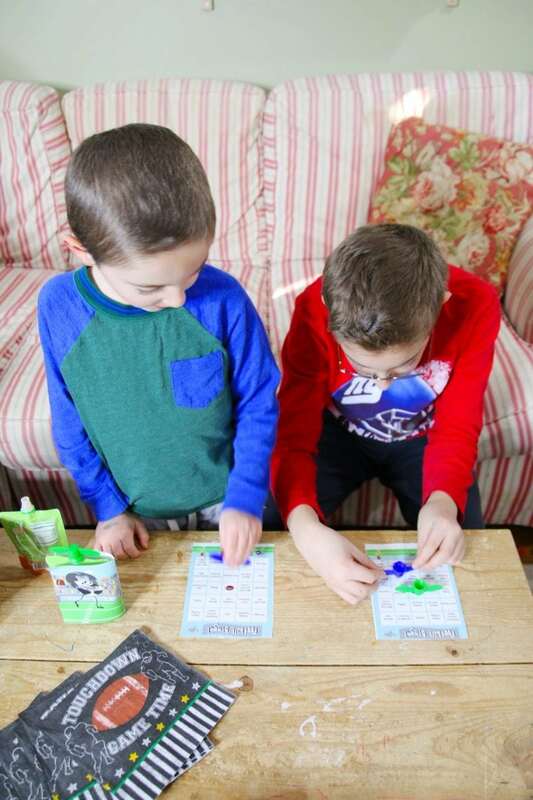 They can use coins that they find in the junk drawer or tops from empty pouches of GoGo squeeZ® pouches. Super engaging!! To be honest with you, I love this concept because it really gets everyone to PLUG IN and listen to the game. Everyone is always so present when we play Football Bingo. 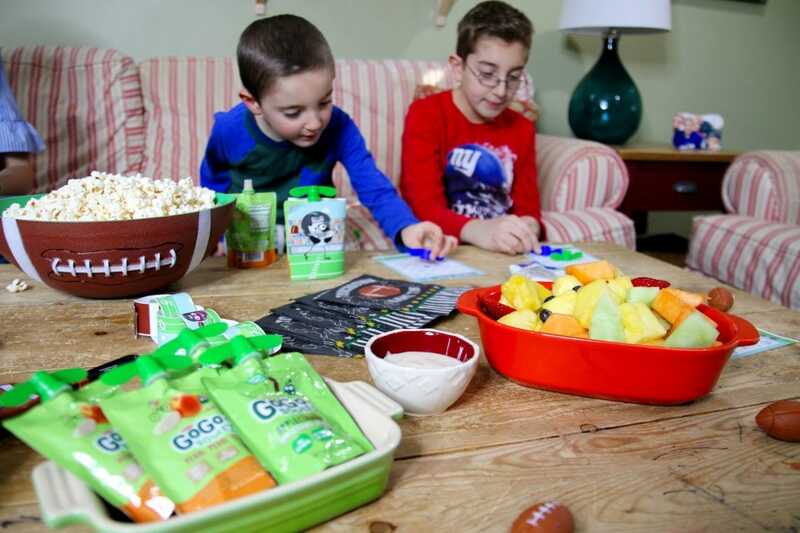 Hope you enjoy your next big game day with your family using some of these fun tips!